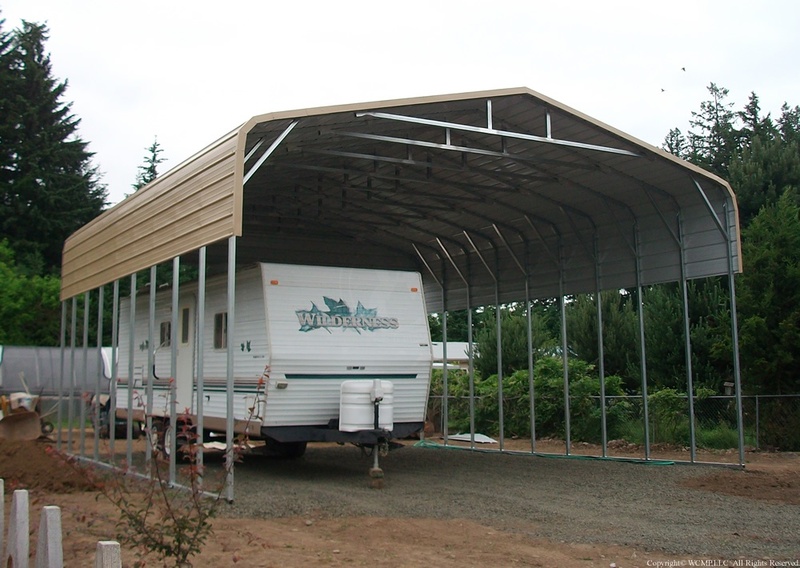 RV Cover Carport Example "B"
RV Cover Carport Example Type "B"
Contact your dealer for a customized quote which will include any applicable sales tax. Build site must be square and level. 2' clearance on all sides required for installation. Must be 10' away from live power lines. Protection for your RV without a large cost! The heat of an Idaho summer can be brutal when you enjoy an average of 210 sunny days per year. Shading your vehicles with a metal carport cover will help protect the exterior, interior, and make getting inside your vehicle on a hot summer afternoon or a rainy day much more enjoyable. The building pictured is just an example of our work. We custom design & manufacture every metal building.